We are one of the reliable companies in this domain and are into offering Neoprene Rubber O Ring . Material : Viton (FKM), Nitrile (NBR), Silicon, Neoprene (CR), Epdm, H-Nitrile. Colors: White, Black, Grey, Yellow, Blue, Green, Brown. We are leading manufacturer of Neoprene Rubber O Rings and offer best quality of products to our clients. 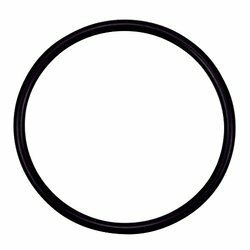 We take pleasure in providing our valued patrons a wide range of Neoprene Rubber O Ring. - Used in various scientific instruments. We are manufacturer, supplier and wholesaler of Neoprene Rubber O Rings. These Neoprene O Rings are manufactured using high grade neoprene, procured from reliable vendors of the industry. Our entire range is appreciated for its durability. We offer these Neoprene O-Rings at most affordable prices. Owing to the presence of our expert team members, we have been able to offer a wide range of Neoprene O-Ring. 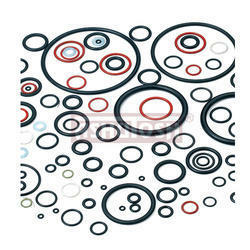 We are a leader in manufactrurer and supplier of Neoprene Rubber O Rings. Neoprene o-rings are commonly used in the refrigeration industry due to excellent resistance to ammonia. Neoprene o-rings are also referred to as chloroprene o-rings or a CR o-ring.